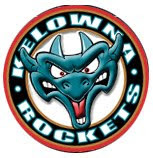 Much hype surrounds 15 year-old Kelowna Rockets prospect Trevor Wong. The Vancouver resident caught the eye of WHL scouts when he showed his incredible offensive skills among his peers, but could that translate into success at the major junior level where young prospects are faced with playing against older, bigger and stiffer competition? Well, over the last few nights we've received a sneak peek at what the dynamic, slick skating forward can bring on a consistent basis to the WHL. It will happen as early as next season when the soft spoken forward makes the jump - full time. 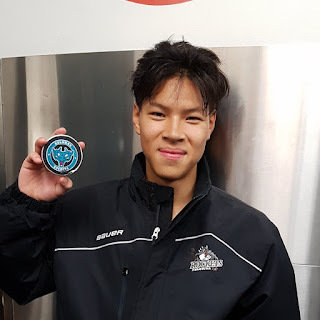 A first round bantam pick (18th overall) this past May, Wong scored his first career WHL goal last night in the Kelowna Rockets 2-1 overtime victory against the Kamloops Blazers. Wong's goal opened the scoring when he picked up a rebound off the right pad of Blazers goaltender Dylan Ferguson and buried it into the back of the net. The goal came 91 days before Wong celebrates his 16th birthday and puts him in an elite group with only one other player, in recent memory, to score a goal as an affiliated players at the tender age of 15. Shane McColgan scored his first career WHL goal, as an affiliated player, in only his second game. Wong did it in his fourth. 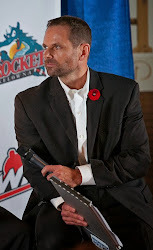 Two other Rockets players have scored their first career WHL goals at 15, but neither were called up by the team with a window of playing a maximum of 5 regular season games under WHL rules. Tyson Baillie was 15 when he scored his first career WHL goal in his first game while Nolan Foote, also 15 at the time, found the back of the net in his 5th career game. Impressive to say the least. Other players to make short work of getting on the score sheet early in their careers was Nick Merkley, who scored his first WHL goal against Kamloops when he was 16. Merkley's goal came in his second career WHL game. Sixteen year-old Madison Bowey also scored his first career goal in only his 8th career game, matching the feat accomplished by a rookie defenceman by the name of Tyson Barrie. Bowey and Barrie are regulars in the NHL now while Merkley has had a taste at that level with the Arizona Coyotes. Lassi Thomson, who is turning more than a few heads with his terrific rookie season, scored the game winner (12th goal of the season) on the power play with a quick snap shot that beat Ferguson glove hand side. The power play came when Blazers forward Connor Zary was fingered to the penalty box on what can be considered a soft interference call. I call it soft only because the game was being called fairly loose with many infractions not called. I'm fine with that, as long as the standard remains in place throughout the entire game. The Blazers will complain that the Rockets were awarded four consecutive power play chances, all of them coming in the third period in a tight hockey game. I know if the Rockets saw the Blazers with four consecutive power play chances, the home side wouldn't be happy either. Outside of Trevor Wong's terrific goal and Lassi Thomson's heroics in overtime, the other incident that stood out in a game featuring two teams separated by one point in the BC Division standings, revolved around Blazers d-man Montana Onyebuchi's physical attack on Rockets forward Conner Bruggen-Cate. The incident happened 2:09 into the third period when it appeared that Onyebuchi, during a line change, made a beeline towards Bruggen-Cate and starting throwing punches. Bruggen-Cate was a non participant in the scrap, resulting in Onyebuchi receiving a 5 minute major and game misconduct for fighting. What precipitated Onyebuchi skating over to Bruggen-Cate and throwing punches is unknown. One can only wonder if something was said to him late in the second period or did he receive a cheap shot from Bruggen-Cate when he and Kaedan Korczak were sent to their respective dressing rooms late in the second period? 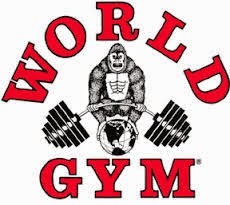 Onyebuchi was not happy with Bruggen-Cate and will clearly be suspended for his action as the WHL looks down on anyone wanting to engage in a fight with an unwilling player. The game, despite the high stakes, had neither team generating much in the way of scoring chances. The shot totals were 14-13 Kamloops after 40 minutes. When called upon, both Ferguson and Rockets starter Roman Basran were steady, but each goaltender was only required to make essentially one spectacular save. Ferguson was awarded the second star while Basran picked up the third star. Wong skated out as the first star to the applause of those that hung around to salute the players at games end. The Rockets played this game without three veterans. Mark Liwiski served a one games suspension for an accumulation of kneeing incidents after serving a penalty for such an infraction the night prior in Spokane. Liam Kindree and Ted Brennan also didn't play, allowing 16 year-old prospect Cole Carrier to make his WHL debut. The win moves the Rockets two points up on the Blazers for third place in the BC Division with 18 games left in the regular season. The Blazers do have a game in hand. These two teams meet four more times before the dust settles. The next match up is this Saturday in Kamloops. The Blazers have had significantly more success within the BC Division than the Rockets. The numbers don't lie. The Rockets are 4-7-2-1 against Kamloops and Prince George. The Blazers record against Kelowna and Prince George is an impressive 10-1-1-0. Both teams have struggled since the Christmas break. The Rockets are 4-7-1-1 while the Blazers are 5-8-2-0. That explains why both are fighting for their playoff lives. Is it any wonder why the two have almost identical records? The Rockets have 21 wins. The Blazers have 20. The Rockets have 25 losses, as do the Blazers. Each team also has 4 overtime losses. They are mirror images of one another in many respects. That may explain why four of the six games in the seasonal series have been decided by a single goal.